Take part in a traditional Japanese tea ceremony in Osaka, the birthplace of the tradition. During the hands-on experience, you’ll be able to wear a kimono-style chef jacket and learn the proper etiquette and symbolism of the ceremony. 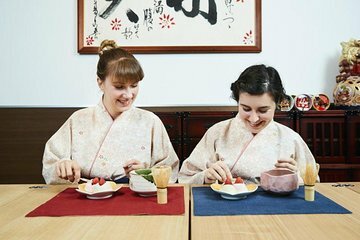 Prepare matcha tea, along with traditional Japanese confections called wagashi, which are made from mochi, anko (red bean paste), and fruits.